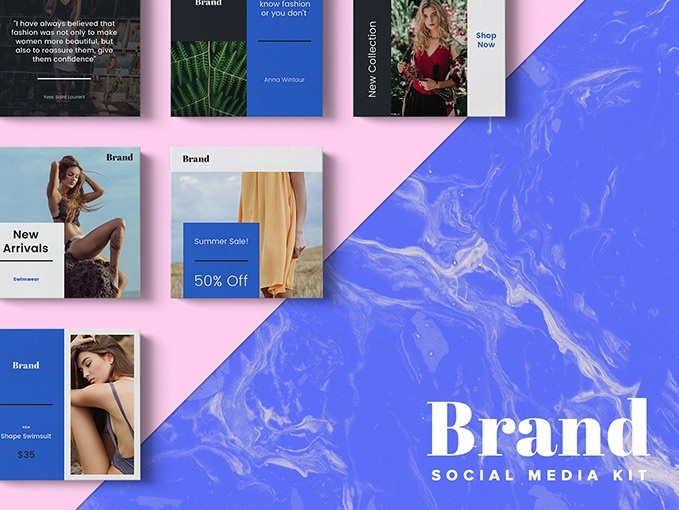 Download Brand Instagram Templates For Free. Meet clean & light social media kit to shore up gained positions of your brand, and bring it to the high summits, any entrepreneur would be fully delighted with. Haven’t discovered a cozier environment that one of the social networks. 15 different layouts included render the kit perfect for Instagram, Facebook, and Twitter, and easy customization with smart objects gives the green light to all design beginners. Perfect technical facilities for keeping your community up-to-date along with visual attractiveness in whole works in your favor. And to shore up gained positions of your brand – whether it’s a fashion blog or e-commerce let us complement your toolbox with an essential social media kit.